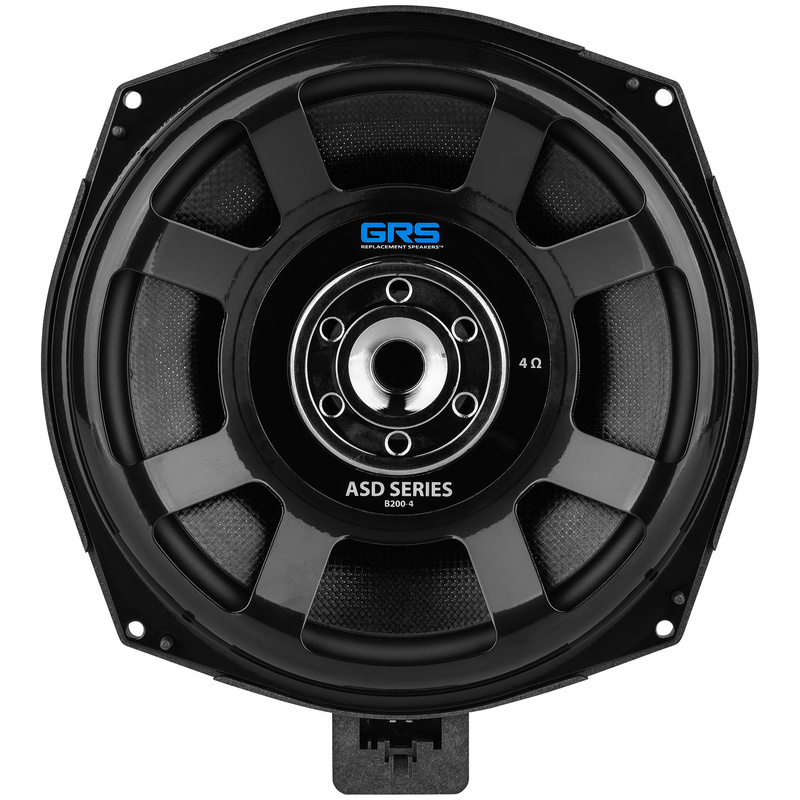 The GRS B200-4 8" subwoofer pair makes it easy to replace the stock 4 ohm drivers found in many BMW under and behind seat subwoofers. These drop–in replacements fit perfectly in the factory enclosures and will even accept the stock wiring. 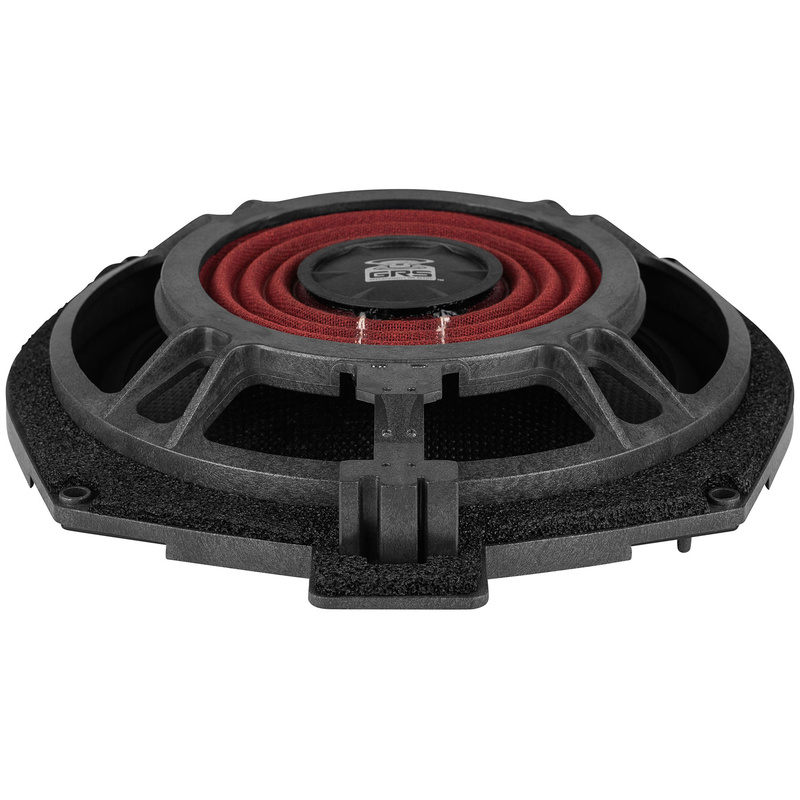 With a fiberglass cone, rubber surround, and extensively vented neodymium motor you can expect powerful low frequency response and an extremely long life from the B200-4. With a pincushion frame, shallow mounting depth, and front side wiring connection, BMW factory under/behind seat subwoofer drivers are extremely difficult to replace without extensive modifications. 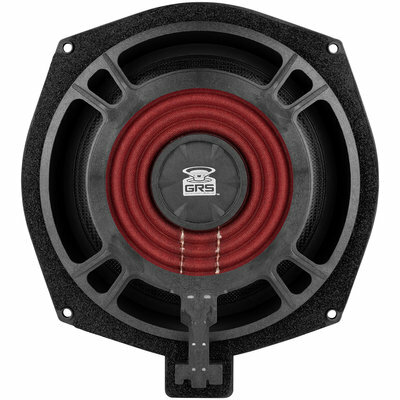 Designed to fit perfectly into stock BWM locations, the GRS B200-4 8" low profile subwoofer takes all the work out of replacing these unique drivers making these the perfect drop in upgrades for late model BMW vehicles. More than just a replacement, the no compromise design of the B200-4 is a significant improvement over the stock 4 ohm BMW driver. With a fiberglass cone and thick rubber surround, this driver will withstand the harsh conditions found in the automotive environment. The 2" voice coil can handle ample power and provides excellent control and linearity. 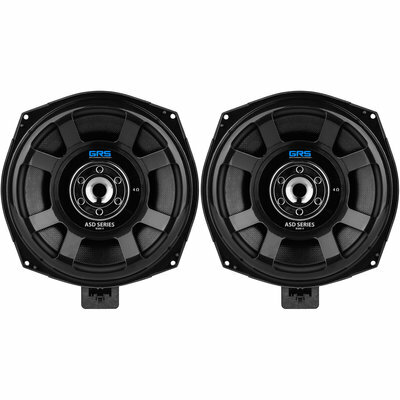 Driving the voice coil is a large front mounted neodymium motor with extensive venting through the pole piece and voice coil gap, which provides sufficient heat dissipation with minimal air turbulence for quiet operation. 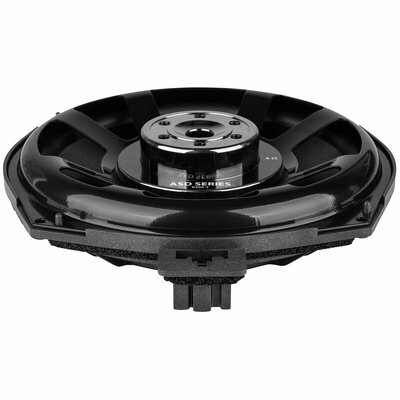 Holding everything together is a rigid 2-piece steel and polymer frame that has been made specifically to fit the non-standard BMW openings. GRS B200-4 ASD Series 8"